Neuroimaging connects stress-associated brain activity to cardiovascular disease in humans. Stress is the feeling of being under mental or emotional pressure, where a person may feel unable to cope. How much stress a person experiences and how they react to it can lead to a wide variety of health problems. When stress is excessive, it can contribute to everything from high blood pressure to irritable bowel syndrome. However, more research is needed to determine how stress contributes to heart disease, a leading killer worldwide. 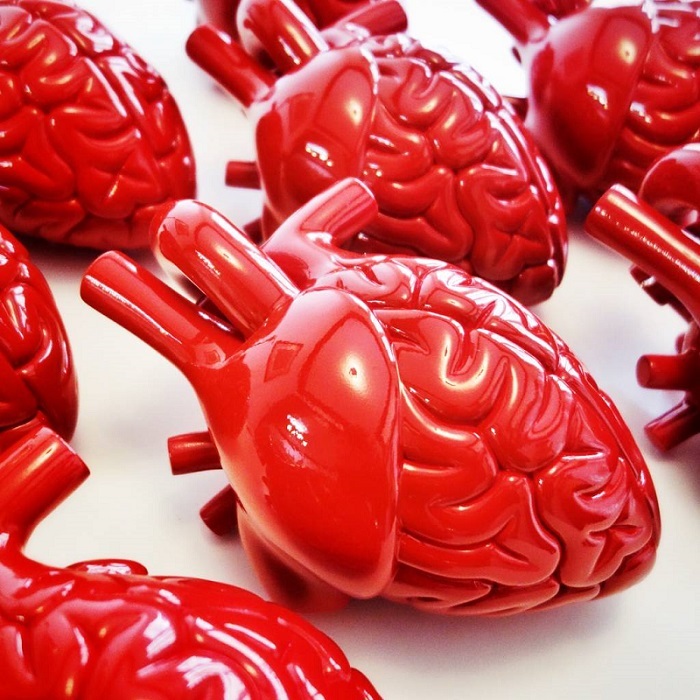 Now, a study from researchers led by Massachusetts General Hospital has linked activity in a stress-sensitive structure within the brain to cardiovascular disease for the first time in humans. The team state that their findings also reveal a pathway leading from activation of the structure, the amygdala, through elevated immune system activity, to an increased incidence of cardiovascular events. The study is published in the journal The Lancet. Previous studies show that while the link between stress and heart disease has long been established, the mechanism mediating that risk is not clearly understood. Animal studies have shown that stress activates bone marrow to produce white blood cells, leading to arterial inflammation. The current study suggests an analogous path exists in humans and identifies the region of the brain which links stress to the risk of heart attack and stroke. The current study reports on two complementary clinical groups. The first study group analyzes Positron Emission Tomography/Computed Tomography (PET/CT) neuroimaging from almost 300 individuals undergoing cancer screening, using Fludeoxyglucose (FDG) radiopharmaceutical which measures both the activity of areas within the brain and inflammation within arteries. All participants had no active cancer or cardiovascular disease at the time of imaging and each had information in their medical records on at least three additional clinical visits in the two to five years after imaging. The second study group enrolls 13 individuals with a history of post-traumatic stress disorder, who were evaluated for their current levels of perceived stress and received FDG-PET scanning to measure both amygdala activity and arterial inflammation. Results show that among the 300 participants in the larger study, 22 experienced a cardiovascular event, such as a heart attack, stroke or episodes of angina in the follow-up period; the prior level of activity in the amygdala strongly predicted the risk of a subsequent cardiovascular event. Data findings show that the association remained significant after controlling for traditional cardiovascular risk factors. The group stress that the association became even stronger when the team used a more stringent definition of cardiovascular events, namely, major adverse cardiovascular events. The lab state that amygdalar activity was also associated with the timing of events, as those with the highest levels of activity had events sooner than those with less extreme elevation, and greater amygdalar activity was also linked to elevated activity of the blood-cell-forming tissue in the bone marrow and spleen and to increased arterial inflammation. They go on to add that in the smaller study, the participants’ stress levels were strongly associated with both amygdalar activity and arterial inflammation. They conclude that pharmacological manipulation of the amygdalar-bone marrow-arterial axis may provide new opportunities to reduce cardiovascular disease. The team surmise that their study provides evidence of a heart-brain connection by elucidating a link between resting metabolic activity in the amygdala, a marker of stress, and subsequent cardiovascular events independently of established cardiovascular risk factors. They go on to add they also show that amygdalar activity is related to increased associated perceived stress, as well as increased vascular inflammation and hematopoeitic activity. For the future, the researchers state that it would be reasonable to advise individuals with increased risk of cardiovascular disease to consider employing stress-reduction approaches if they feel subjected to a highly pressurised situation.